DID YOU KNOW…ABOUT EAGLESHAM FAIR? 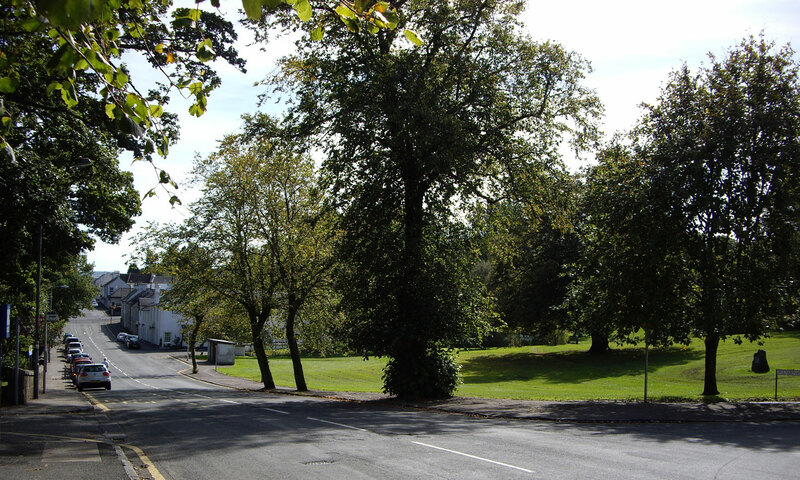 DID YOU KNOW…HOW EAGLESHAM GOT ITS NAME? 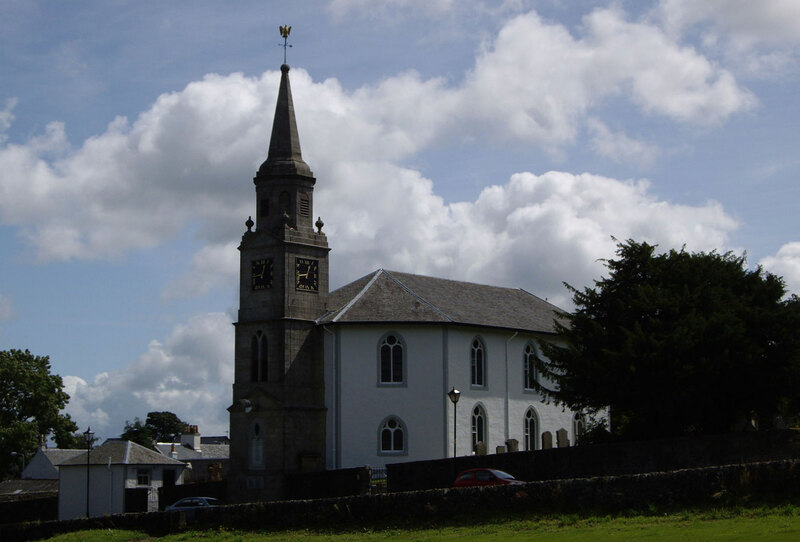 The most likely explanation of the meaning of the name Eaglesham is ‘kirkton’ or ‘church town’, derived from the French word église meaning ‘church’ and the Saxon ham meaning ‘hamlet’ or ‘village’. 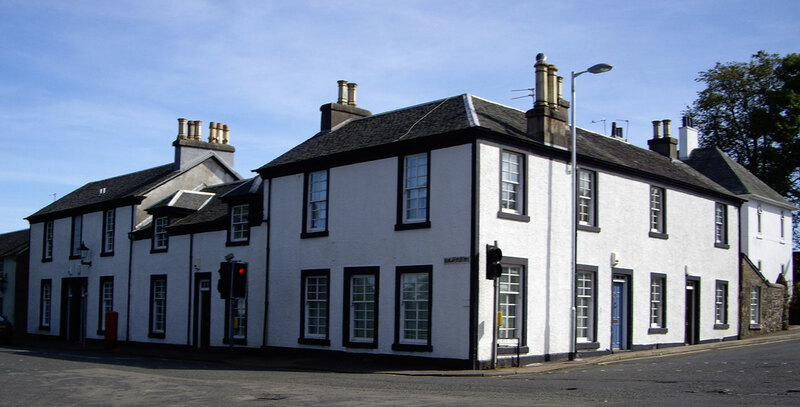 DID YOU KNOW…ABOUT EAGLESHAM’S LIBRARIES? 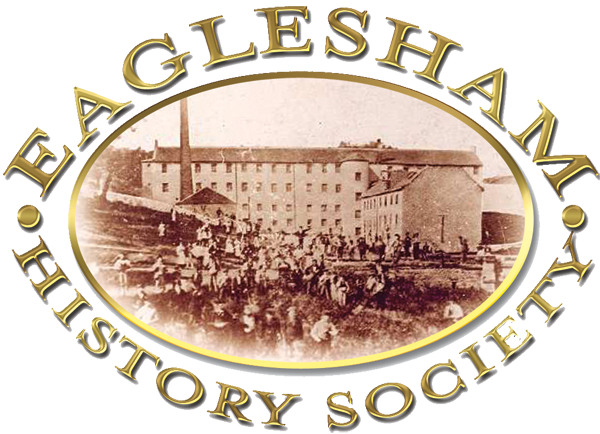 By 1826 there were two libraries in the Parish of Eaglesham — One attached to John White’s cotton mill at Millhall and another belonging to the village. 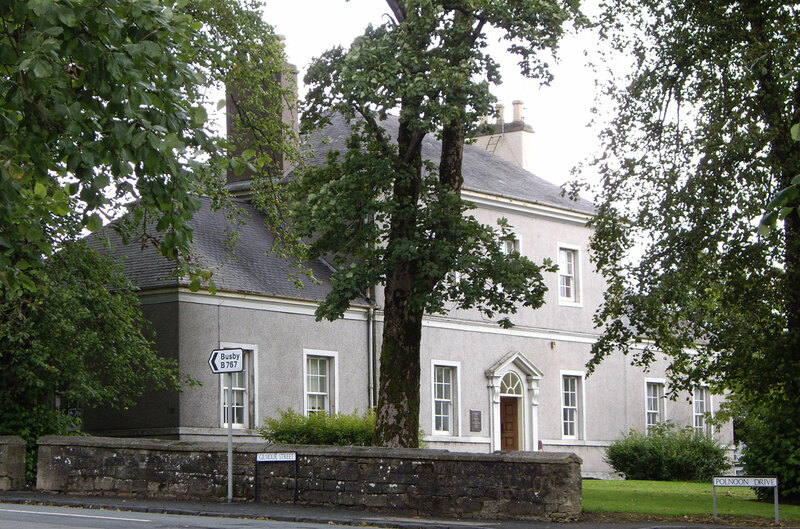 It is recorded that the village library contained 240 volumes by 1840. Entry money was three shillings and the annual contribution was also three shillings. It was contemplated that the two libraries would be united and, by adding some books on science, it would be available to members of the Eaglesham Mechanics’ Institution. The present library, which opened in 1963, is located at the Montgomerie Halls on the site of the former Polnoon Lodge gardens. DID YOU KNOW…THERE’S BEEN A MURDER! Contemporary records relate that a young man, John Thomson, was charged with wilfully causing the death of a 27-year-old woman, Agnes Montgomery, a reeler in the mill in Eaglesham, by poisoning her with prussic acid. He had also tried to poison a Mr and Mrs Mason, by slipping prussic into their whisky. Fortunately, they both survived. Thomson was charged with the murder of Agnes Montgomery, and was found guilty by the Jury, after only a few minutes consideration. He was condemned to death by the Lord Justice Clerk on December 23rd 1857. He confessed his guilt and was hanged outside the County Hall in Paisley on January 14th 1858, reportedly before a crowd of 20,000. After his trial he also confessed that, when he was only nine years old, he had drowned a boy in a quarry hole. DID YOU KNOW…ABOUT THE FOUNDATION OF THE PLANNED VILLAGE AND TACKS? In 1769 the Earl of Eglinton’s plan to demolish the old Village of Eaglesham, and to rebuild it as a Planned Village got under way. The land was parcelled out in single or double tacks, and each tacksman had to build his property within five years or be fined. The layout of the village was like a letter ‘A’ on either side of the Orry. Materials for building were supplied from the Earl’s quarries, and stone could be used from the old town demolished properties. The average tack for a standard property was for “1 rood and 3 falls” in the old Scottish units of measurement — this is equivalent today to about 1/3rd of an acre. The tack for this size of property was “10 shillings and 8 pence ha’penny”, which is equal to about 51p in today’s currency. This had to be paid to the Earl once a year at Martinmas for 900 years (obviously inflation was non-existent at that time!) Fortunately payment of Feus was terminated in the 1960s. DID YOU KNOW…ABOUT THE VILLAGE PIPER? When the new town of Eaglesham was built at the end of the 18th century, the Earl of Eglinton decreed that a piper was to be kept “properly clothed with proper bagpipes for the use of the inhabitants to play through the town morning and evening every lawful day”. For this there was an annual charge of one shilling sterling paid by every household. DID YOU KNOW…THE VILLAGE WAS ONCE SOLD? In 1835 the Earl of Eglinton decided to sell the village of Eaglesham following financial difficulties, mainly arising from the construction of Ardrossan Harbour, and a proposed canal from Ardrossan to Glasgow. 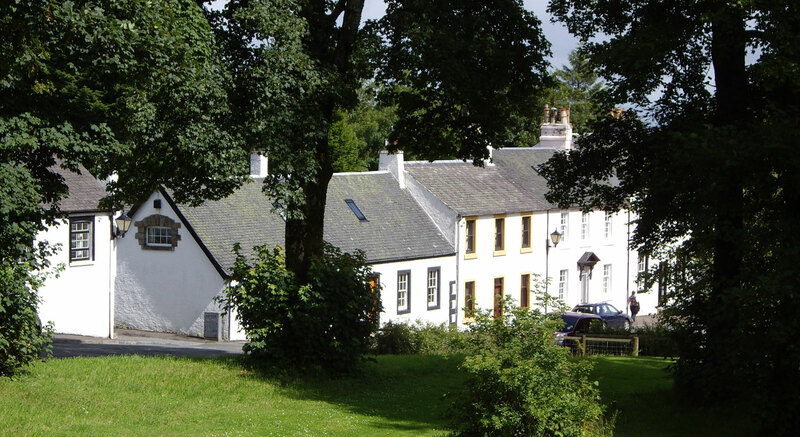 Nine years later, in 1844, Eaglesham was purchased by the Gilmour family for £200,000. They were ship-owners and timber importers, and came to live in Polnoon Lodge. 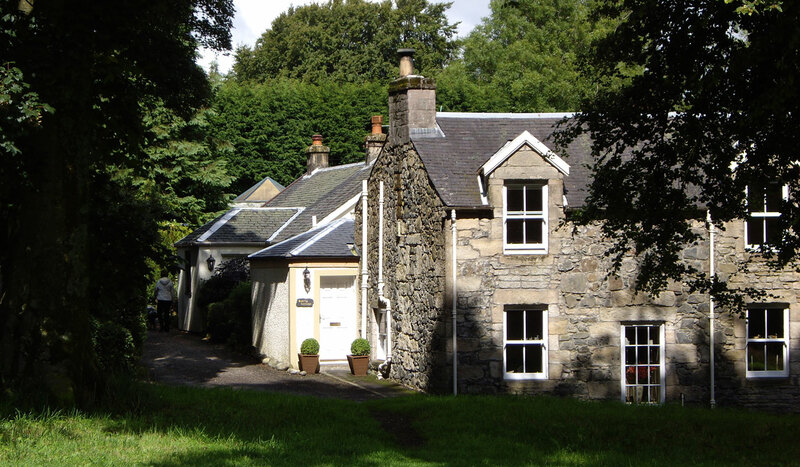 In 1859-60 they built Eaglesham House to the north of the village, by Waterfoot, and lived there until 1927. Unfortunately this fine building was badly damaged by fire in 1954, and the site is now occupied by Linn Products. The present Earl of Eglinton and Mr Allan Gilmour, and their wives, continue to take an interest in the village and visit regularly. However, neither family collects the feus anymore – these were abolished in the 1960s!. DID YOU KNOW…ABOUT ALL THE OLD SHOPS ? Before there were such things as supermarkets and frequent bus services, shopping had to be done in the village. Below is a rough street-by-street guide to some of our post-war shops and businesses. DID YOU KNOW…ABOUT THE RESTORATION OF THE VILLAGE? By the 1930s Eaglesham had become very dilapidated, and many of the old houses were empty or had collapsed. A suggestion had been made that the houses should be bulldozed and all replaced with council houses, but the 1939-45 war saved demolition. A few years later two ladies, Miss Kath Whyte in 1949 and Mrs Nina Davidson in 1950, moved in to the village and, with others, inspired a group of local people and associations to discuss what could be done to save it.  A Preservation Society and the Restoration Joint Committee were founded in 1956 and were supported by various organisations, and this led to a four-year survey of the village. 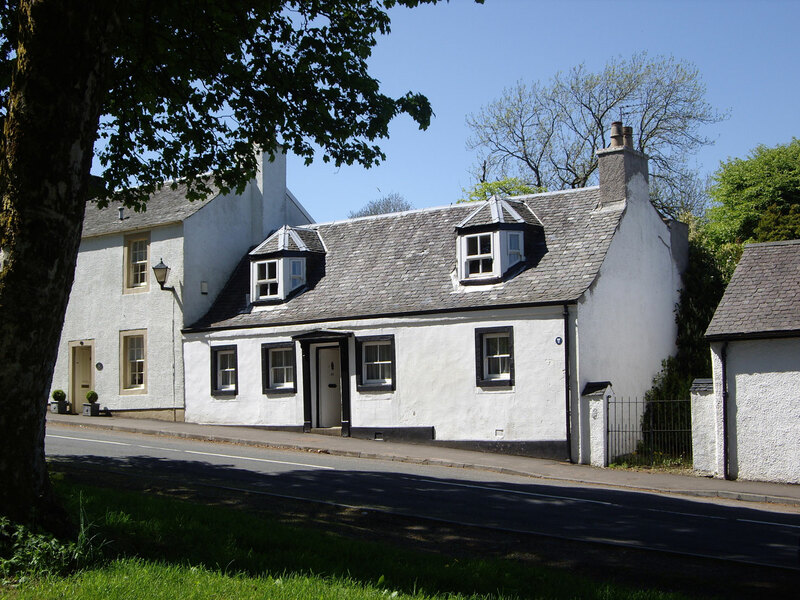 In 1960 the Committee established the buildings to be of historic and architectural value, and in 1975 the Historic Building Council recognised the village as “Outstanding” and Eaglesham became Scotland’s first Listed Village. We can just imagine what the village would have been like if these two ladies and their enthusiastic supporters had not stepped in and stopped the bulldozers!